Valentines day is on the way and most school classrooms will be sharing valentines and treats. I was inspired by Lia Griffith’s holiday candy huggers and I created these cute diy candy box holders. Super easy, and child friendly too! You can go extra fancy and cut these out of felt or just use some colored paper or patterned paper. They look cute either way. 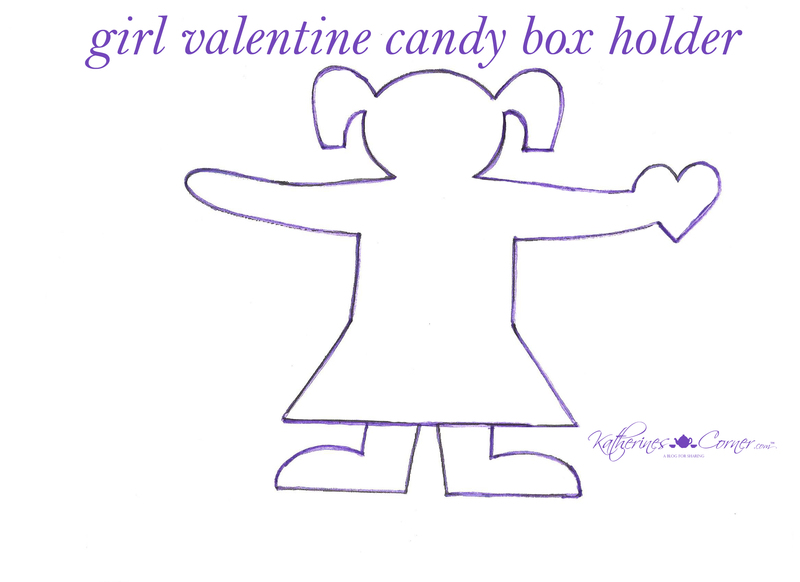 Will you try making these candy box holders for your little valentine? Very cute. And I love those little hearts! Adorable! If I made a mailbox, the postmaster would condemn it. These are so cute, Katherine! I have so much scrapbook paper, and so I love finding special ways to use it! What a lovely idea, so cute! These are adorable and I like that they are not too time-consuming (because I like to give a LOT of Valentines!). Thanks so much for sharing this idea; it’s perfect!